Every girl dreams of being a princess one day. They dress up in bright pink dresses and fluffy crowns, wishing for their royal wedding day. And for Kate Middleton, her dream is finally coming true. Similar to Kate, I met my fiancé while studying, and after the ups and downs of all relationships, the proposal came, and my dreams are becoming a reality, although without the royal crown. The whole world is talking about the 29th April 2011. The wedding that two families in a small town of Bromsgrove are talking about is the season after, 2nd July 2011. Even though Kate and I have similar backgrounds, the planning of each wedding is completely different, with one holding 2,000 guests and the other inviting 200. First off, there is the budgeting that every bride and groom has to explore; this is obviously different, with mine costing £10,000 and the royals further into the bracket of £20 million. And that is a modest affair. Next, is the bride’s dress, the part of the planning that every bride actually does look forward to. With swarms of British designers hoping to make hers, Kate has had no worries about whether her dress will make her bum look big. I, on the other hand have been soul searching though the good, the bad and the ugly. Clifton Brides was my very first experience. The sale gown I tried on was perfect, apart from one tiny detail. It was a size 16 and I was a size 6. Travelling across cities, I tried all sorts; meringue-like dresses, vintage styles and £2,000 gowns that I just could never afford. 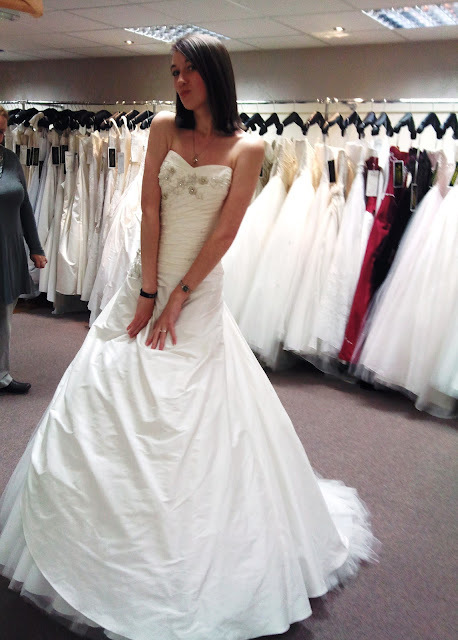 The more bridal shops I went into, the fussier I got; I wanted an ivory A-line dress, a sweetheart neckline, diamante, a chapel length train, no lace and the list continued. It was exhausting and I know that Kate didn’t have to wade through those seas. But, when I found my ‘Phillippa’ dress, I was glad to have done the wading. 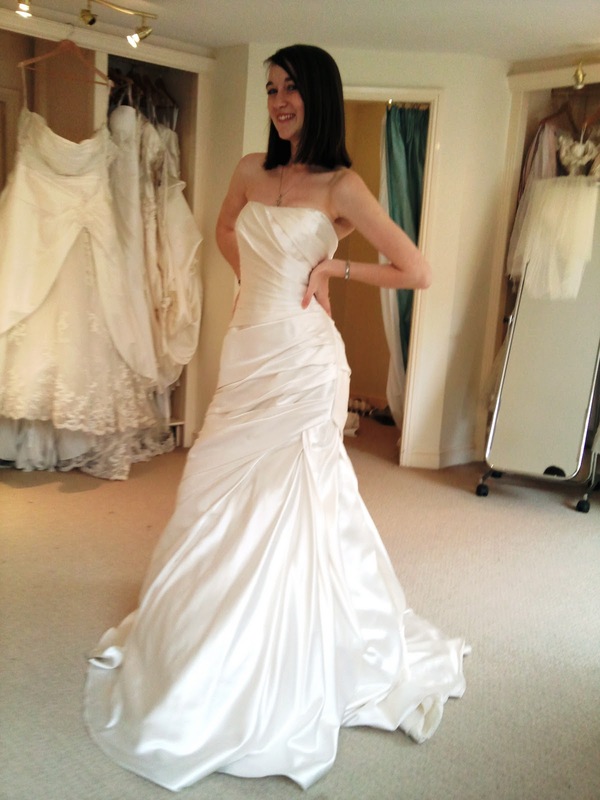 Jemima continuing her quest for the perfect wedding dress! Along this road of bridal attire, there is the question of changing into evening wear, and it looks like Kate has decided to do this; her beloved hat-maker Philip Treacy designing her evening head wear. The amount I’m spending on ‘Phillippa’ though has ruled out any change of clothing for me – the only thing I’m changing into are my flat pumps! Excitingly, I found my bridesmaids’ dresses in Debenhams at discount price. Choosing my bridesmaids was easy; I simply chose the five girls that I knew would be there for me during the journey up to the big day. Unlike Kate, I am the only girl of four, so I had no sister to capture the title of Maid of Honour. However, my best friend that I have known since year four has been as close as a sister could be to me, and she enthusiastically accepted the title. The main things a bride needs to plan have been completed; the fairy tale venues of a traditional church and a fancy hotel, the spectacular dress, the girls’ attire, and the dream string quartet. For the favours I’m not, like Kate, splashing out £5,000 but a friend is making purple ceramic hearts to keep in with the theme, costing me only a thank you card. The flowers are also being arranged by a friend; you get that personal touch as well as saving unnecessary spending. My fiancé has booked a £2,000 honeymoon in Corfu. It’s not a £400,000 honeymoon like Kate’s, but it’s a five star hotel in a hot country – luxury. There is still plenty to do, but with my wedding scrapbook and a wonderful fiancé the few months prior should be enough to add the finishing touches – like sending out the invites! Even though both we girls have grown up and followed different paths, we will still both be saying ‘I do’ to the man of our dreams, and the rest after that will just be another story to tell. Thanks Jemima! Good luck with the rest of the wedding preparations. Send us some photos afterwards so we can share them with our readers! 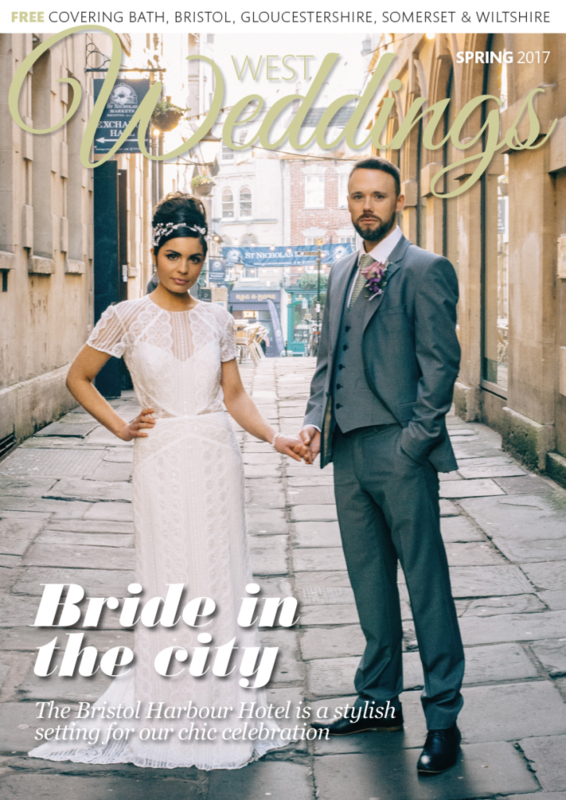 Bristol Vintage Wedding Fair: more photos! Calling all West Country brides!